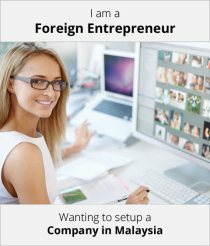 Already have a company but want to set up in Malaysia? With Malaysia’s huge market bursting full of opportunities, you may have consider registering your company here but do not know how to. At Paul Hype Page, we have 2 physical offices with our own staffs in Singapore, and Malaysia. Further, we have satellite offices in United State, Australia, Hong Kong and China who can assist your offshore operation. Our clients are able to leverage our presences in these countries and outsource their daily operation or high level management reporting. Registering the foreign company in Malaysia with SSM. *NOTE: If the list includes directors residing in Malaysia who are members of the local board of directors of the foreign company, a memorandum stating their powers must be executed by or on behalf on the foreign company and submitted to SSM. – A memorandum of appointment or power of attorney authorising the person (s) residing in Malaysia, to accept on behalf of the foreign company any notices required to be served on such foreign company. – Form 80 (Statutory Declaration by Agent of Foreign Company). Top Managerial Post of a foreign owned company operating in Malaysia. Responsible for looking after the company’s interests and investments. Responsible for determining the company’s policies and goals. Required academic and working experience, practical skills related to the respective jobs. Responsible for implementing the company’s policies and supervision toward the junior staff. Require working experience and technical skills related to the respective jobs. (i) Letter of Authority from the company or letter of appointment as a company’s representative. (ii) Duly completed DP11 Form with passport size photograph. (iv) One complete copy of the Expatriate’s Official passport (Two copies for PRC citizens). Print-out of company’s profile from Companies Commission of Malaysia (SSM) or form 9, form 24 and form 49 for approval by MIDA and EC (if EC imposes capital appreciation). Release letter from former employer if the Expatriate wishes for a change in employer. Passport validity should not be less than 18 months. Entry into Malaysia was in accordance with the Immigration Act 1959/63, Passport Act 1966 and Immigration Regulations 1963. Dual citizenship is not recognised in Malaysia. 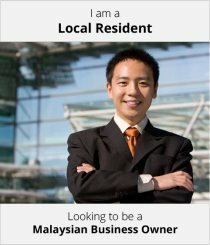 The tax rate for a local company set up by foreigners is different depending on the residency status of the company. A company is tax resident in Malaysia if at any time during that basis year the management and control of its business is in Malaysia. Tax rates depending on the tax resident status of the individual. A person is a non-resident under Malaysian tax law if you stay less than 182 days in Malaysia in a year, regardless of your citizenship or nationality. Non-resident individual is taxed at a different tax rate on income earned/received from Malaysia. The individual is taxed at a scheduler rate ranging from 1-25% depending on the person chargeable income. For such companies, a minimum of 50% control over the venture is maintained by the foreign directors. The other half is owned by Malaysian investors and trading partners. A minimum authorized capital of RM500000 and paid up capital of RM350000 is required.